In the past six months the Conservative member of parliament for Flamborough-Glanbrook has publicly laid his soul bare. He has revealed broken pieces of his life without any thought of political benefit or fallout. 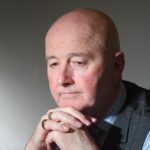 He has shared the deeply private stories of his daughter’s suicide and his own childhood abuse at school because he wants others to know they are not alone. He wants to help them. of suicide. 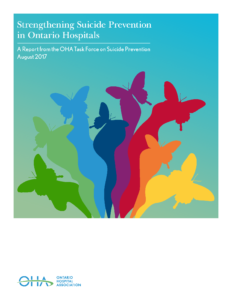 The OHA Task Force on Suicide Prevention (Task Force) met regularly throughout the 2015-16 year, examined current hospital policies and protocols for suicide prevention and assessment, and reviewed practices and emerging evidence from other jurisdictions. After careful consideration, the Task Force has made three central recommendations for the Ontario government to consider in its approach to preventing suicide. While these recommendations may reduce the number of deaths by suicide among patients under hospital care, all components of the health care system need to be part of suicide prevention initiatives moving forward. Primary care, community care services and hospitals need to work collaboratively to improve transitions between care settings. While implementation considerations were not part of the scope of this Task Force, financial resources must also be allocated in order for these recommendations to be successfully implemented by all hospitals. This is in response to the Netflix series “13 Reasons Why”. We are concerned about the messages being promoted regarding suicide and wellbeing. We are providing “13 Reasons Why NOT” in response to these messages. This guide has been produced by health care and suicide prevention experts working with the National Action Alliance for Suicide Prevention (Action Alliance). The information is for health care organizations that wish to better identify and support people who are at increased risk of suicide and for advocates who will work with hospitals and clinics to make them safer. “Let’s get men talking about mental health with family, friends and colleagues — spreading the word far and wide. Communities are made up of people, and the more we understand each other, the more we can support one another”. Error: Error validating access token: Session has expired on Tuesday, 16-Apr-19 12:44:38 PDT. The current time is Wednesday, 24-Apr-19 16:51:16 PDT.